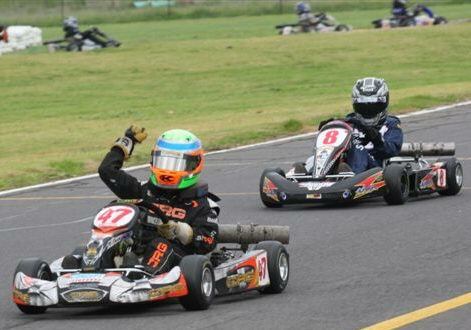 Matthew Smith tasted success last weekend in the Rookies class at the City Of Wodonga Titles. Matthew got to the top step of the podium last weekend at the City Of Wodonga Titles. After starting the day with a DNF in heat one, Matthew went on to finish second in heat two. Matthew started from grid position nine for the final and by the end of lap one, had charged all the way to third place. This set up a great battle for the next eleven laps against Jordan Boys and James Golding. On the second last corner of the race Matthew passed both Golding and Boys to take the win. After some good races in the past few meetings it was fantastic to have another win.